When you are looking to model your kitchen to have a modern feel or to expand its size, you are going to want to find professionals who can help you have the kitchen of your dreams at an affordable price. 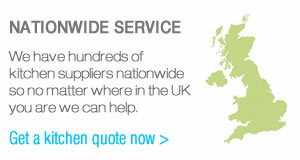 Luckily, UK Kitchens Direct is your one stop shop to finding a direct and honest quote for your new kitchen renovation. We have hundreds of kitchen suppliers nationwide throughout the UK to make sure you can find the best deal on whatever kind of kitchen unit fits your fancy. Often times, finding fitted kitchen remodeling can be difficult, with streamlined cabinets and maximum storage space for all your kitchenware. Unfitted kitchens are also often what our clients are sick of having in their homes, as they have bulky furniture and cabinets that do not create the best storage options for their dishware, food, and pantry items. New kitchens often have state of the art fitted kitchen design that can ensure that you have the most tech-savvy kitchen available on the market. 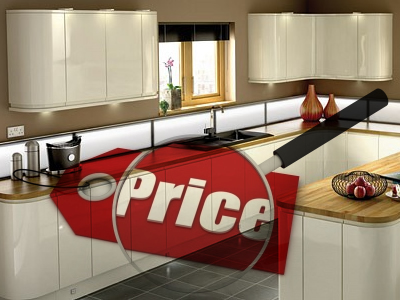 Kitchen compare is one of the best ways that you can save money when buying a kitchen and especially when using UK Kitchens Direct. When taking a look at our kitchen design gallery, you can see plenty of different options to make your kitchen as modern as possible. Whether you have a lot of room or little to spare, our team of planners can help you find the best kitchen set for your home's needs. When you work with a professional to remodel your kitchen, you may think about a kitchen color scheme, what types of appliances you should have in your kitchen, types of kitchen counter tops, positioning of kitchen cabinets and so many more tedious factors that you may not think of on your own. Luckily, when working with a professional designer, they can not only provide you a quote, but explain all the possibilities to make your kitchen absolutely amazing. We have professionals that can either work with you to craft your kitchen or take the reigns on their own to rennovate your home. If you are looking to sell you home, a great kitchen can increase your property value as well! 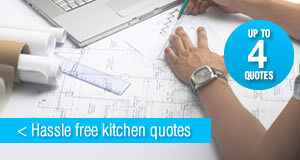 We work by saving you money on your kitchen through comparing quotes from many different providers. Finding someone who can give you a free, customized quote can be difficult to achieve without spending way too much time and hassle searching around for the best deal -- with UK Kitchens Direct, you simply fill out a form on their site and up to 4 kitchen suppliers will reach out to you. Why spend a weekend traveling from store to store when you can simply find a bunch of providers to come out and give you a free kitchen estimate using our online service? Don't wait to renovate your kitchen – fill out our online form today and get started making your dream a reality.